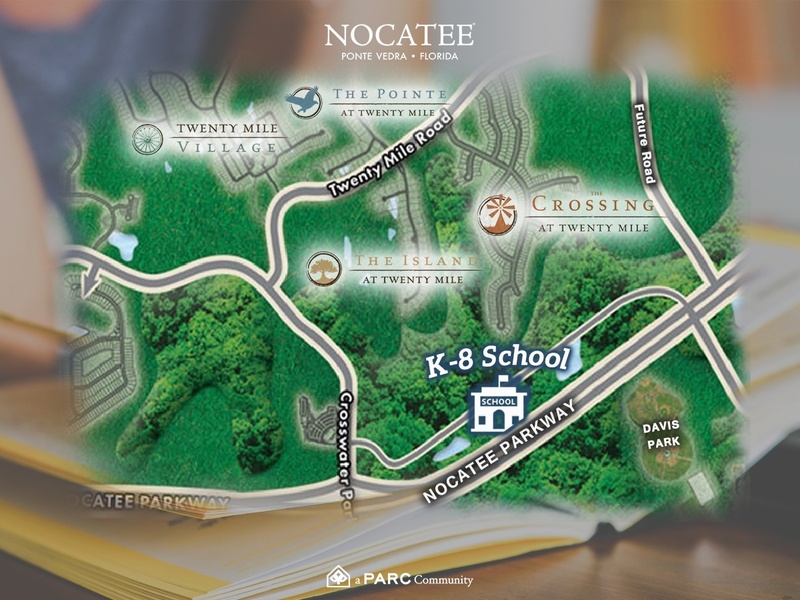 St. Johns County School District’s newest K-8 school will be located adjacent to Nocatee’s Twenty Mile neighborhoods, according to The PARC Group, Nocatee’s master developer. Construction of the school, built on land donated by Nocatee, will begin this summer, opening for the 2018-19 school year. This new school is the third school site donated by Nocatee’s developer to the St. Johns County School District. Valley Ridge Academy opened its doors for the 2014-15 school year, and Ponte Vedra High School opened for the 2009-10 school year, both on land donated to the District. Zoning of students will be determined by the School District in the fall of 2017, with many Nocatee students expected to attend the new school. To learn more about the historically-rich Twenty mile area, download the free History of Twenty Mile eBook today! For more information on new homes available and the great schools Nocatee students attend, explore www.nocatee.com, stop by the Nocatee Welcome Center or call 1-800-NOCATEE.